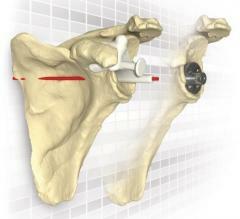 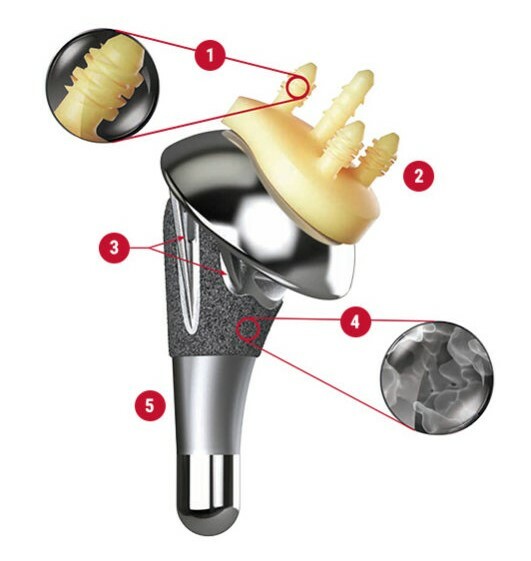 The data-driven design of the AltiVate™ Anatomic Shoulder System features a short P2 coated humeral stem providing superior in-growth and a glenoid with patent pending Drop and Go™ technology for immediate fixation. 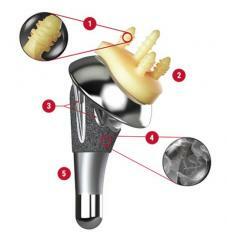 The result is a truly anatomic reconstruction with fixation you can feel. 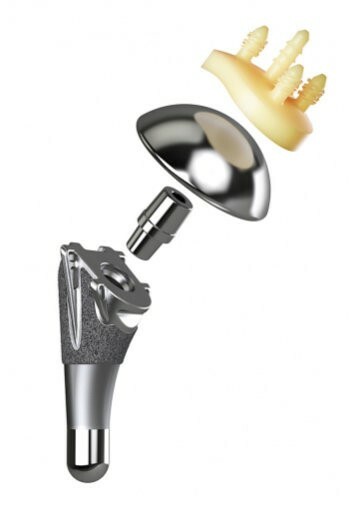 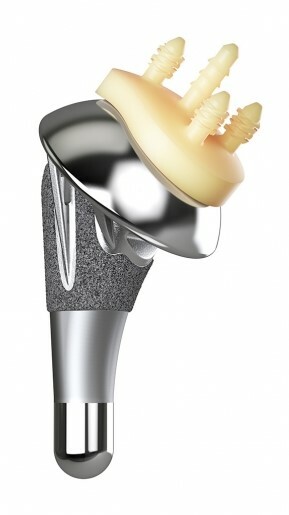 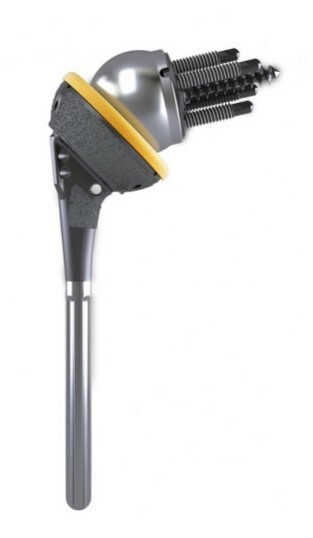 Patent pending trilobe design provides enhanced fixation on the peripheral pegs*. Impart initial stability, facilitate stem alignment and include suture hole options for enhanced soft tissue fixation. 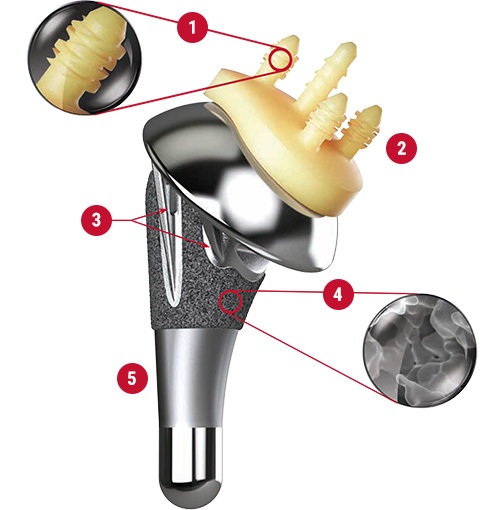 Optimized layout for bone in-growth above the metaphyseal-diaphyseal junction and smooth finish below to discourage bone on-growth.